These are such a pretty bead. 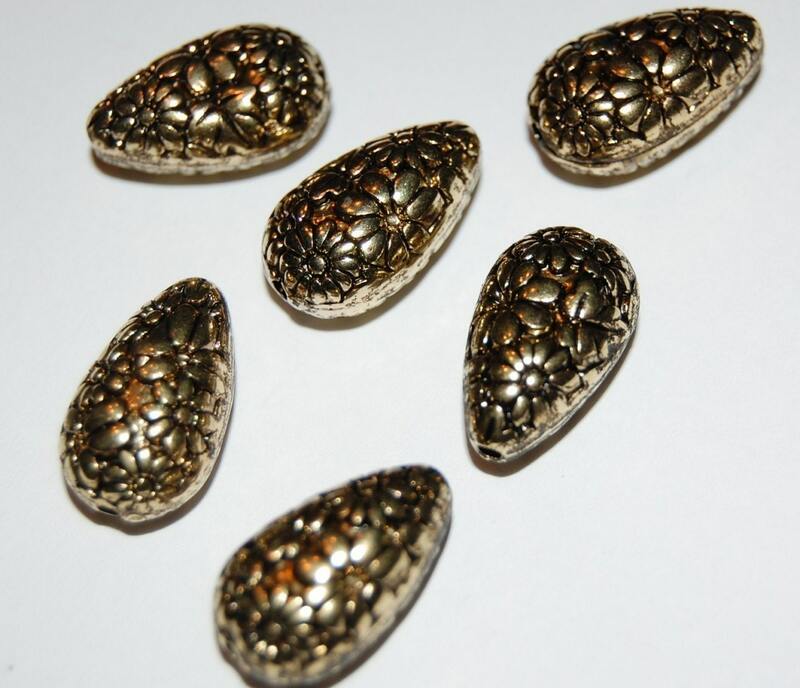 They are antiqued gold acrylic beads. They have an all over etched floral design. The flowers look a bit like daisy's. 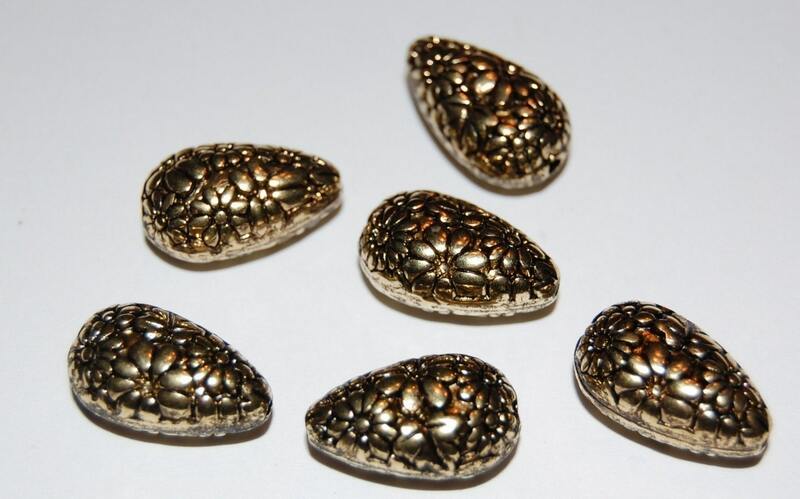 If you need a light weight bead for earrings these would be wonderful. These measure 18mm. You will receive 6 of these.